The Retraflex® hose retracts into the same piping network used by your central vacuum, not taking any added space within the walls. 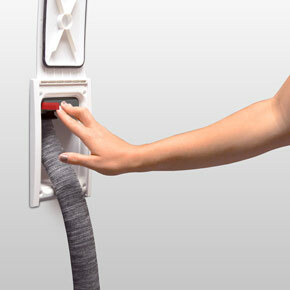 Ergonomic and easy to pull. Pull out the length of hose you need at the moment and connect the attachments of your choice. 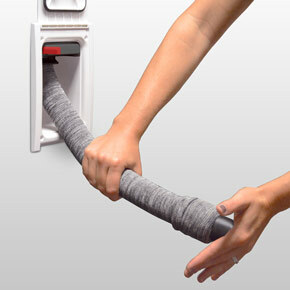 Pull on the black handle to start the system and to lock the hose at the desired length. Push the handle to unlock the hose. 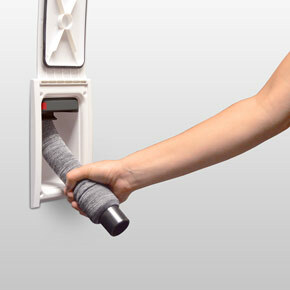 Disconnect the attachments and put your hand over the opening to allow the hose to retract. Close the door to stop the system. The revolutionary suction socket with the integrated Retraflex Retractable Hose System allows you to use just as much hose as you need to clean the dirt. No less, no more. 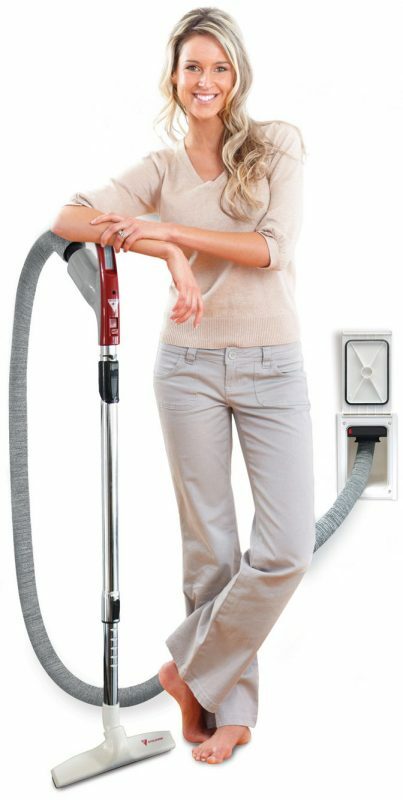 After cleaning, the hose will hide itself to the suction installation located in the walls and floors of your home only by means of the suction power generated by the central vacuum cleaner – without additional mechanical reels, springs or electrical winding systems. This ensures reliable operation for many years! 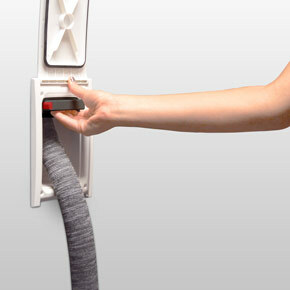 You will never have to carry an uncomfortable coil with a suction hose and store it in the closet again. The snake hides itself in the wall automatically! 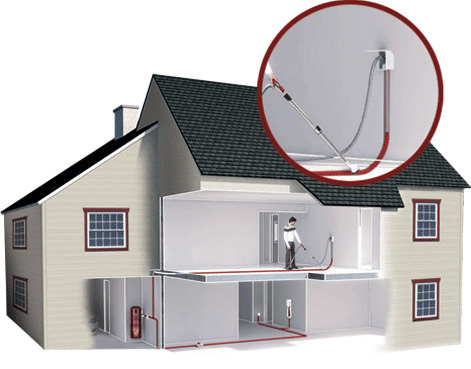 The installation of the Retraflex system can easily be carried out when building a house or renovating an existing house. 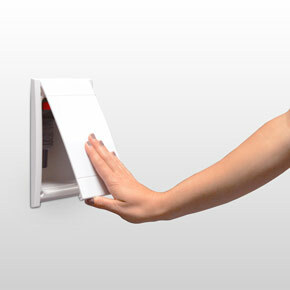 If you are interested in the individual elements of the Retraflex system, please visit our online store!